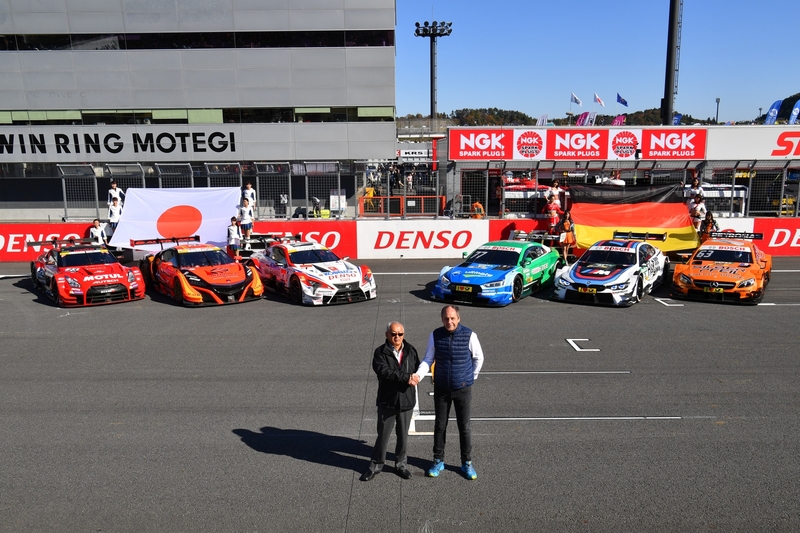 During the final race of this season’s DTM championship, the German manufacturers racing in the series got a visit from representatives from the Japanese Super GT Championship. That’s basically the Japanese version of the DTM, having brands like Lexus, Nissan and Honda are racing against each other with their own racing cars based on the LC500, GT-R and NSX, respectiveley. This weekend, the spectators in Motegi got to see a car from each manufacturer taking part in the DTM, including a BMW M4 DTM driven by Augusto Farfus. BMW Motorsport sent the BMW Driving Experience M4 DTM to Japan, the car being run by BMW Team RBM. The DTM played a prominent role in the Super GT Championship weekend schedule. On Friday, the cars headed out onto the track for an exclusive half-hour session. They were then joined by the Super GT cars for outings on Saturday and Sunday. 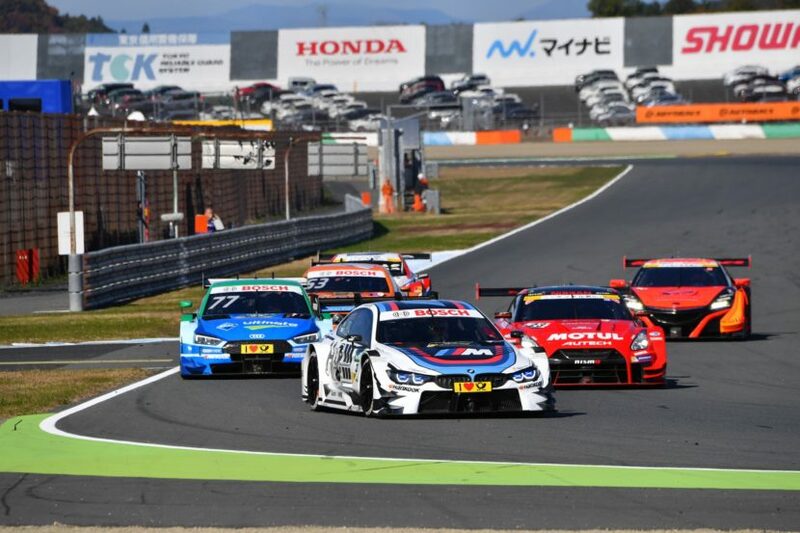 Prior to Sunday’s race, the DTM cars also took part in the parade, which traditionally takes place immediately before the start in the Japanese championship. The fans at the circuit also had the opportunity to check out the BMW M4 DTM up close and personal in a tent specially erected for the DTM in the paddock, as well as in the pit lane during pit walks on Saturday and Sunday. The program also included several autograph sessions, during which Farfus – one of the crowd favorites – posed for countless selfies. The Super GT teams also showed great interest in the visitors from Europe, and spent much time chatting with their DTM guests.